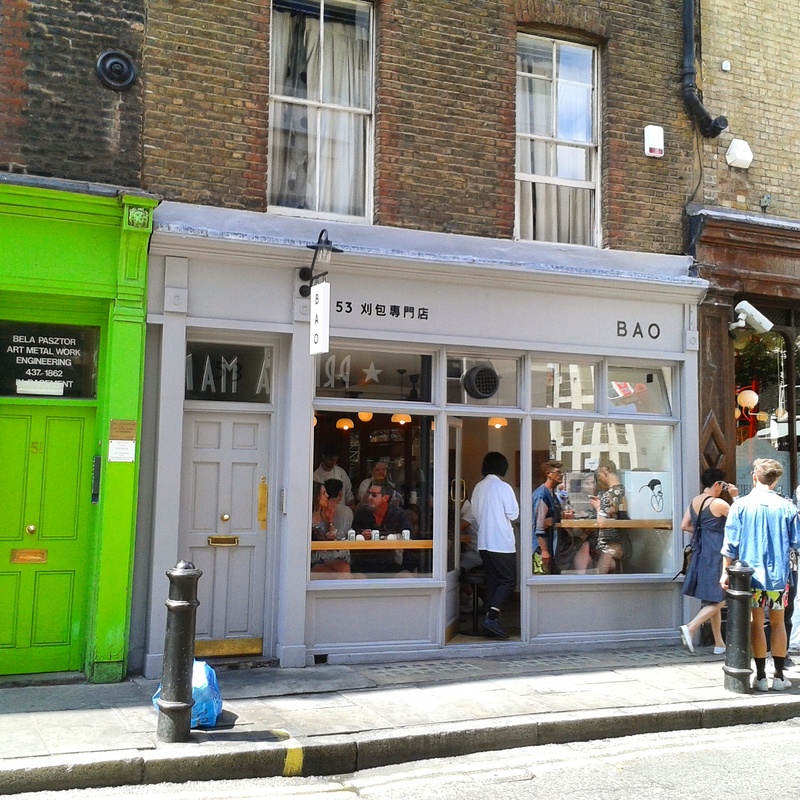 Bao, Soho. A review and a queue. In London, sometimes you’ve gotta queue. And if it’s for pillow soft bao, it’s even worth it. My Saturday started with a mission. 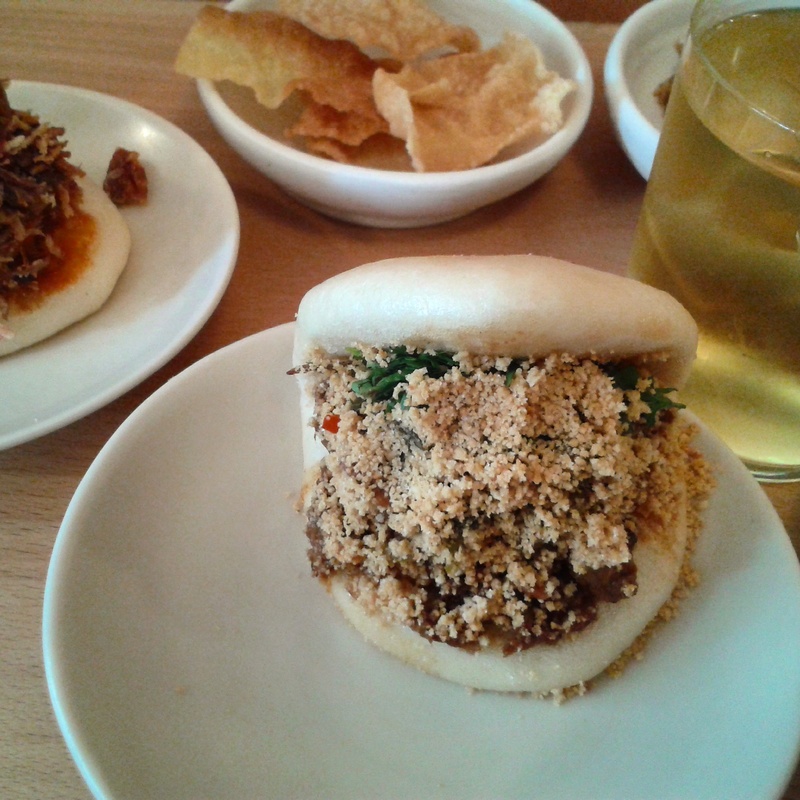 After drooling over dozens of instagram pictures over the past few months, I knew I had to go to Bao. My life seemed empty and the only thing that would make me find its meaning again were steamed Taiwanese buns and smoked yolks. I get like that when I find a restaurant I absolutely want to try (obessive, slightly insane, happy to wake up early on a Saturday or even queue. I know). So we made our way to Soho on a beautiful, uncharacteristically sunny London day. After researching Bao, I had decided that the best strategy was to get there for 11.45, so that you’re in the first batch of people to go in. We almost made it. We got there at 12.06 and quietly joined the queue on the other side of the road. We had to wait about half an hour, but at least I had a flimsy paper menu to comfort me. I knew it was going to be okay. 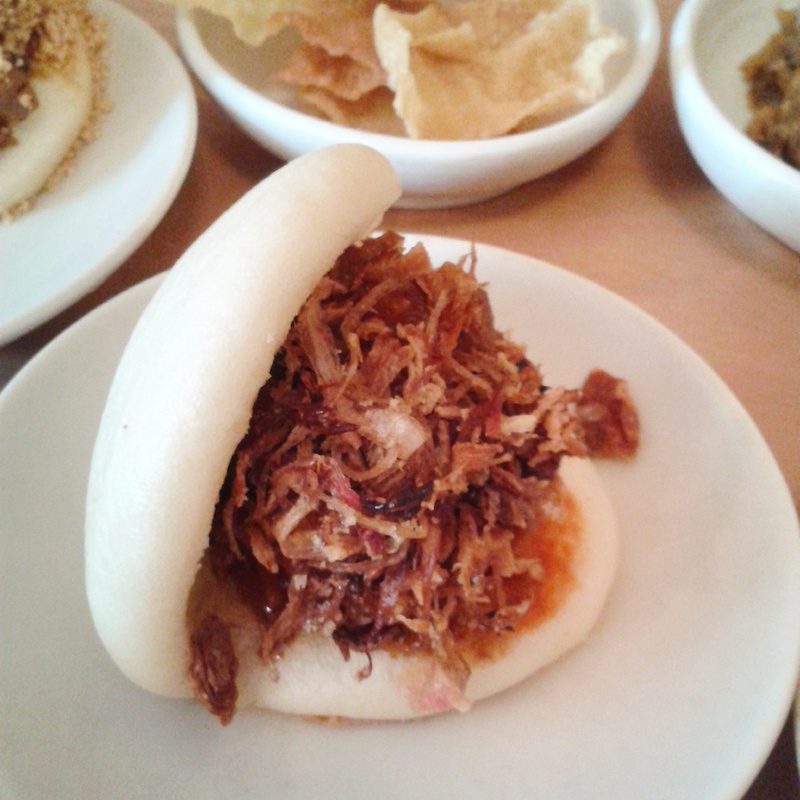 Bao is a tiny restaurant specilising in Taiwanese cuisine. Once inside the place is simple and sleek, all wood and warm light shining through the large windows. Service was remarkably nice and charming, and we didn’t feel rushed at all. It had a cafè flair, and looked like the sort of place where you can camp out and read books while nursing your coffee (or, delicious iced oolong). While I enjoyed the atmosphere enourmously, the food was an even better surprise. 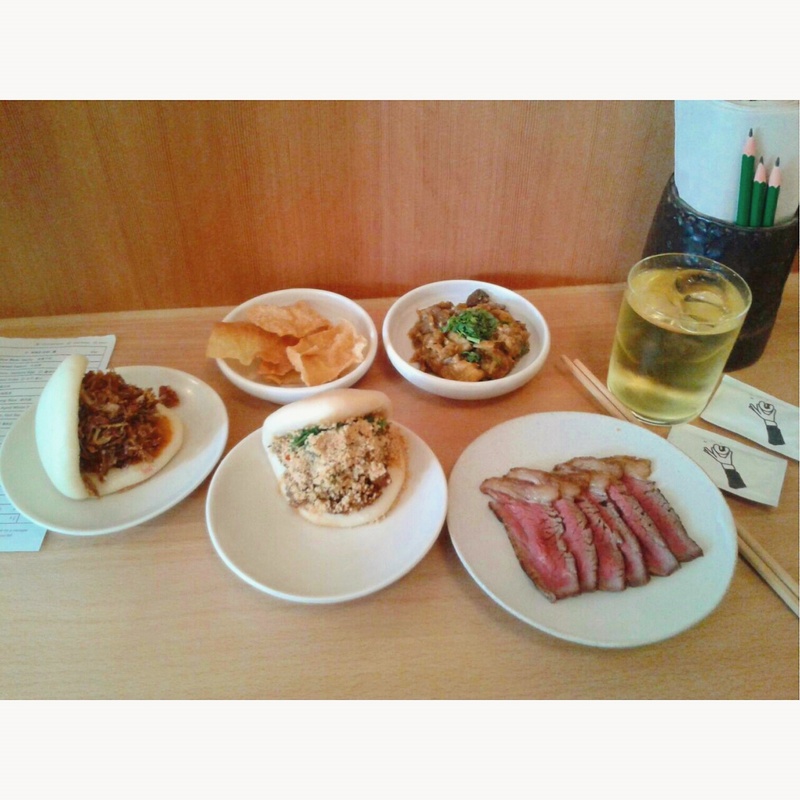 Bao’s menu is a mixture of Western-friendly crowd pleasers (fiery fried chicken, rump stake sliced thinly with aged soy sauce) and less usual dishes which I did not muster the courage to try (trotter tots, blood cake… sorry). The baos, steamed rice buns which are perfectly fluffy and soft, were as good as promised. We immensely enjoyed the classic, with melt-in-your mouth fatty pork and crispy peanuts, and the confit pork, with a similar flavour profile but which the addition of crispy shallot made even more moreish. 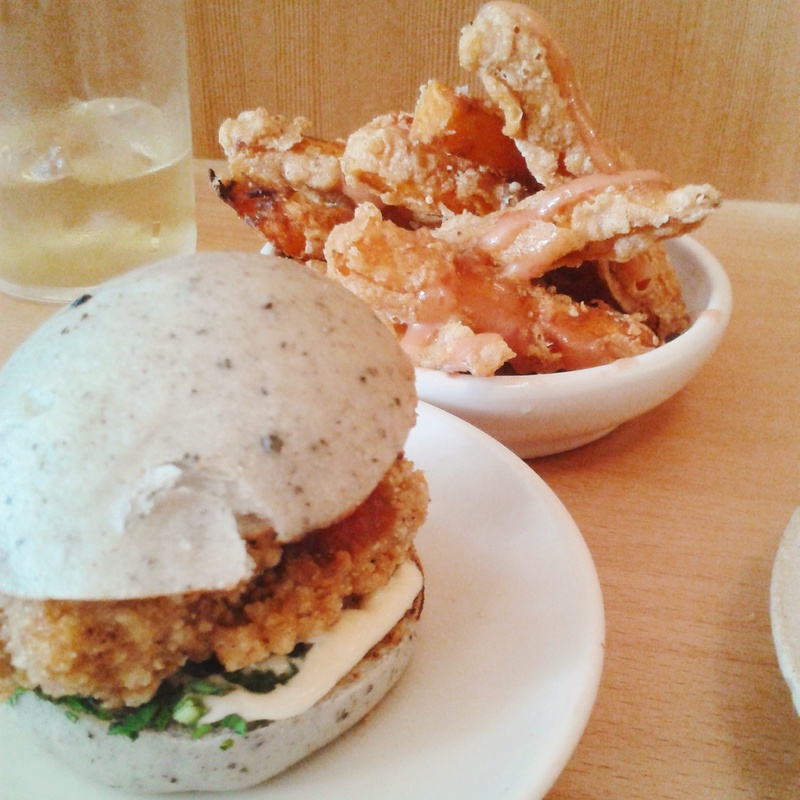 Our favourite was the fried chicken one – not the most photogenic of the lot, with a burger-style sesame bun whose pale blu-ish colour makes it look somewhat less appealing, but it was perfect. 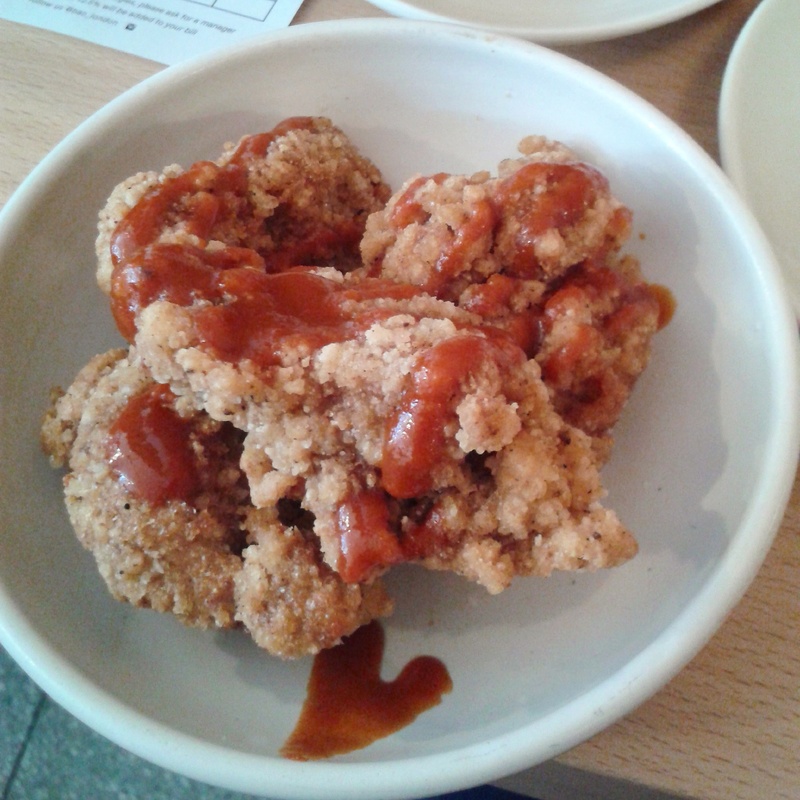 The softest bun gave way to the crispiest chicken and its combination with fresh, fiery kimchi made me weep a little. The fried chicken boasted a garlicky spicy tomato sauce which cut through its crispy crust, and the rump steak was cooked to perfection and would literally melt in your moth – no chewing required. Its simple marinade of aged white sauce gave it a tart note which made the whole dish much greater than the sum of its parts. As a big aubergine fan, I make a point of ordering an aubegine-based dish wherever possible and Bao’s take on it was a creamy dish with a hint of smokiness and just the right amount of spice to let this weirdly-shaped purple vegetable shine. 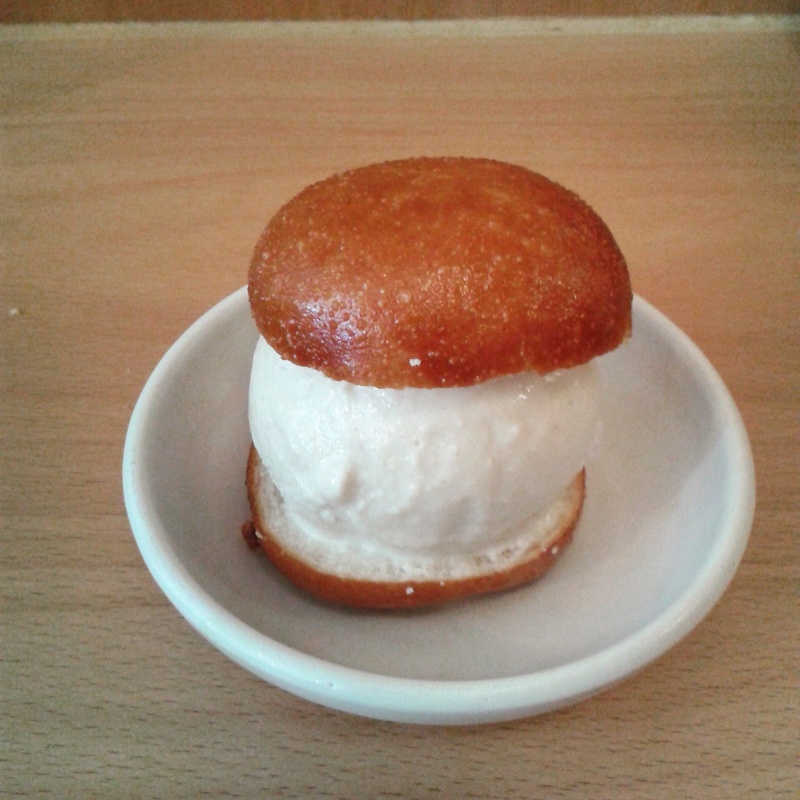 The also have a pudding bao, with a deep fried doughnut bun and horlick icecream. The bun was maybe a little bit overpowering and if I could go back I would probably give this a miss in favour of another bao. The prices are surprisingly reasonable, especially for Soho, but beware: the portions are very dainty. Bao is the perfect spot for a quick lunch, with a plethora of small dishes to choose from, bold flavours to be washed down with smoked oolong teas and beers. Except, well, you’ll have to queue for it. Next Post Kiraku, Ealing: a review and a love story.